Tim is our Careers Advisor and Spanish Visa Support Officer at Oxford TEFL Barcelona. He also helps with interviews and general admin for the Cambridge CELTA and Trinity DipTESOL courses. Tim was born in Charlotte, North Carolina, USA. He started his TESOL career in China in 2013 and has been teaching ever since. 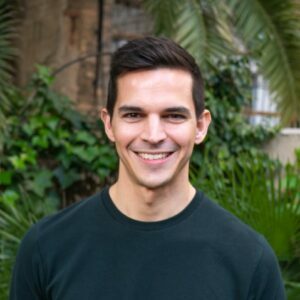 At the beginning of 2017, he moved to Barcelona to take the Developing Teacher Course with Spanish and joined the Oxford TEFL team shortly after. Having gone through the visa process himself as a non-EU citizen, he is dedicated to helping others live and work in Barcelona legally. In addition to English and Spanish, Tim studies Catalan and Mandarin. In his free time, he likes reading, going to the cinema, and playing beach volleyball.